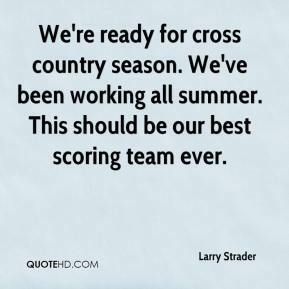 We're ready for cross country season. We've been working all summer. This should be our best scoring team ever.